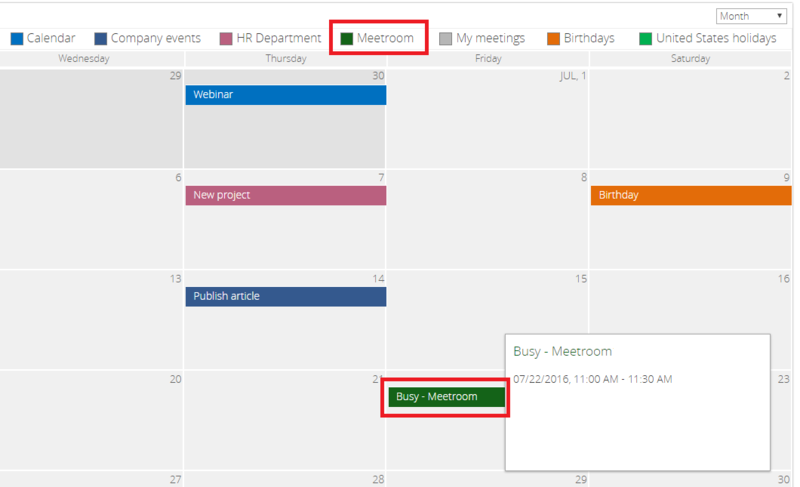 You can overlay meeting rooms from Outlook Exchange Online and your SharePoint calendar events. Check the box and define the list of Outlook meeting rooms. 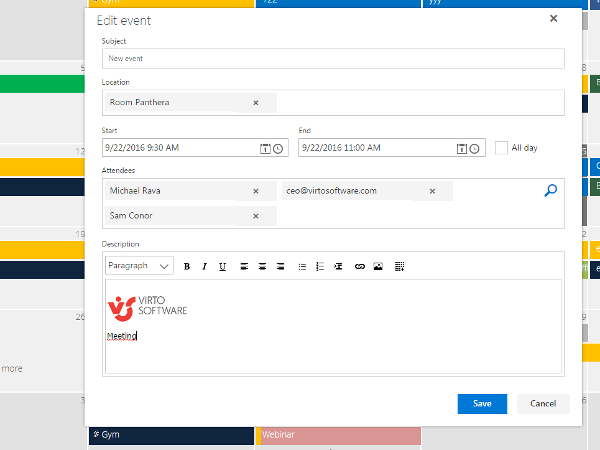 You are able to create and change events of Exchange Online with meeting room location, assign attendees and edit Exchange rooms right from the Virto calendar add-in. You can also add external email addresses to the attendees list. Note: If you have full access to an Exchange Online meeting room, you can view and edit event in this room. If your permission is restricted, you can see the room booking schedule only.